What makes collusion between collaborative platforms ‘innovative’ in relation to traditional practices violating Article 101 TFEU are algorithms. The sophisticated algorithms employed by collaborative platforms could either constantly monitor competitors’ prices and automatically adjust to them, or, worse, function as ‘predictable agents’ designed to predict and react to changing market conditions in a predetermined way. Ezrachi and Stucke observe that ‘the nature of electronic markets, the availability of data, the development of similar algorithms, and the stability and transparency they foster, will likely push some markets that were just outside the realm of tacit collusion into interdependence’. Such interdependent action of competing platforms, however prejudicial for the market, may only qualify as conscious parallelism/tacit collusion – considering no actual agreement ever takes place – and therefore be legal. EU Commissioner for competition, M Vestager, has recognised that ‘there are many ways that collusion can happen, and some of them are well within the capacity of automated systems’ and has made clear that ‘pricing algorithms need to be built in a way that does not allow them to collude’. Further, she warned industry ‘that companies can’t escape responsibility for collusion by hiding behind a computer programme’. Hence, developments are forthcoming in this area, especially so after the Commission decision imposing a record fine on Google for an abusive practice perpetrated through its search algorithm. Collaborative platforms typically run electronic applications and offer intermediation, while the underlying services are offered by the suppliers, owning the cars, houses, skills, and so on. Therefore, platforms and suppliers operate, in principle, in different markets and any agreement between them is a vertical one. However, the tri-partite, two-sided, markets created by platforms raise at least five questions. First, can suppliers be held to collude horizontally by means of their common (vertical) agreement with the platform? In the preliminary proceedings of Meyer v Kalanick the NY District Court found that the probability of a horizontal agreement between drivers was evidenced by their signing up for Uber ‘precisely “on the understanding that the other [drivers] were agreeing to the same” pricing algorithm’, especially considering that their agreements with Uber ‘would “be against their own interests were they acting independently”’. Hence it may be said that ‘the common algorithm which traders use as a vertical input leads to horizontal alignment’. More significantly, in its recent judgment in Eturas, the CJEU held that the clients of a platform who learned of and did not act against the application of a uniform discount decided unilaterally by the platform, could be held liable for collusion. It further explained that even without any direct contact, a presumption of awareness and therefore collusion is possible on the basis of objective and consistent indicia. Alternatively, price signalling between suppliers may also constitute an antitrust concern for the collaborative economy. Connected to the above, second, is the issue of other vertically imposed anti-competitive practices, leading to parallelism between the suppliers in the downstream market. Therefore, issues may be raised by contracts that reference rivals (CRRs), notably through most favoured nation (MFN) and/or meet the competition (MTC) clauses, in order to prevent suppliers from multi-homing (or at least to make them keep the best terms/prices for the platform imposing the clauses). An example of restriction to competition via CRR clauses is the Apple e-books case, whereby Apple agreed with certain book publishers that the retail price of e-books listed on Apple would be no greater than the price on any other competitor’s platform, thus forcing publishers to re-negotiate their agreements i.a. with Amazon and to increase retail prices. Moreover, in a way similar to the use of pricing algorithms and to CRRs, resale price maintenance (RPMs) agreements may lead to de facto parallelism in the downstream market. Third, can the platforms be held liable for facilitating a concerted practice between suppliers active in a downstream market? The CJEU has answered in the affirmative in the Treuhand judgment, insinuating that the platform’s anticompetitive behaviour shall be contingent upon the degree of the participation it exerted in the concerted practice. Fourth, is it possible to bring the agreements of the sharing economy under any of the known categories of vertical agreements in order for them to be treated favourably by competition authorities? Regulation 330/2010 on vertical agreements covers undertakings having less than 30 % market power, a threshold easily crossed under the super-star economics developed in the collaborative economy. Franchise agreements typically involve three parties (the franchisor, the franchisee and the consumers) but as AG Szpunar puts it in his Opinion in Uber France ‘the role of the franchisor is limited to providing services (such as trade-mark licenses, know-how, the supply of equipment and the provision of advice) to the franchisees. It will have no relationship with the users of the final services, which will be provided solely by the franchisees. The services of the franchisor are therefore independent of the final services’. Similarly agency agreements are also to be distinguished, since if the platforms were to be considered agents for the services provided by suppliers, the money would have to flow from the principal (supplier) to the agent (platform), while in reality the opposite is true. Fifth, the application of Article 101(3), although in principle granted, given that the collaborative economy does innovate in favour of the consumer, could nonetheless be countered by the requirement of the Court that on two-sided markets ‘advantages found only on one market of a two-sided system and not on the market where the restriction of competition takes place, cannot compensate for the restriction of competition, in particular where the purchasers on both markets are not substantially the same’. Hence, e.g. the restriction of drivers’ freedom to compete imposed by Uber’s algorithm, need not only benefit consumers (who find more offer when more is needed) but also to drivers themselves (which will be more difficult to substantiate)! Computer algorithms may be used i.a. for targeted discriminatory pricing. Under ‘Pareto economics’, this would correspond to an optimal allocation of resources, as each user would be paying as much as they are ready to, for the goods/services concerned. Under mainstream competition law, however, this is plain discrimination which, if performed by a dominant undertaking, may qualify as abusive. Further, the fact that platforms propose an ever vaster array of services (which they do not provide themselves, but merely intermediate for), may, under circumstances, constitute prohibited tying and/or bundling, as the Microsoft saga showcases. Cross-subsidisation of the different activities of the platform may also allow for important leveraging, and when performed by an undertaking dominant in one market in order to enter a different market, constitutes abuse. Last but not least, the big data and/or meta-data owned by a dominant firm, may, under circumstances, qualify as ‘essential facilities’ and refusal to grant access to newcomers or other competitors, may qualify as abusive. Collaborative platforms lack the links that traditional entrepreneurs have with the government and State agencies; their relationship with power is mostly one of suspicion, if not plain animosity. Concerns under Articles 107 et seq. TFEU may nonetheless be raised, since collaborative economy participants enjoy economic advantages in the form of a) tax payment facilities and b) forgiveness of liabilities. With regard to tax payment facilities, some Member States have already enacted tax relief measures especially for collaborative economy actors, while others silently allow the non-payment of several taxes. Hence, most Member States are currently not collecting from collaborative economy participants, inter alia, i) VAT by any of the parties involved, ii) local or sector-specific taxes (eg tourist tax), iii) personal income tax from prosumers, since most of them avoid declaring income they gain from collaborative practices, iv) corporate income tax, etc. With regard to forgiveness of liabilities, most Member States are currently allowing the operation of collaborative companies without claiming any social security payments for suppliers/workers or any licence fees. Last but not least, collaborative platforms enjoy a regulatory advantage, since they face fewer (if any) complex and time-consuming regulatory requirements, such as undergoing authorisation/licensing procedures, being registered with the competent professional body, passing capacity tests, being subject to professional disciplinary rules, having to underwrite professional insurance policies etc. Such requirements have a cost for the professionals and are a source of revenue for the State. The Court has already held that procedural advantages selectively awarded, which favour the cost structure of an undertaking in relation to its competitors, may constitute State aid. Could that case law expand and also cover more broadly ‘regulatory advantages’? The question has already been brought before the European Parliament, and has been hastily – but not convincingly – received a negative answer by the Commission. Ezrachi and Stucke, ‘Algorithmic Collusion: Problems and Counter-Measures’ (2017). Commissioner M Vestager, Speech delivered on 16 March 2017. Google Search (Shopping) (Case COMP/39740). Meyer v Kalanick, Case No 1:15-cv-09796 New York Southern Court, Opinion and Order of Judge Rakoff (31 March 2016), 12-13. M Stucke and A Ezrachi, ‘Artificial intelligence and collusion: When computers inhibit competition’ (2017) University of Illinois Law Review, 14. Case C-74/14 Eturas and Others. 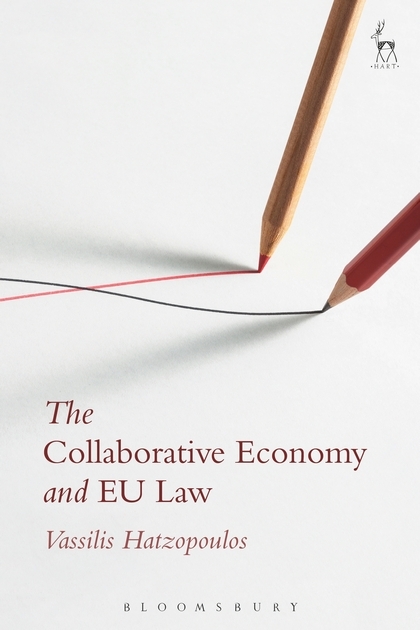 G Lougher and S Kalmanowicz, ‘EU Competition Law in the Sharing Economy’ (2016) 7 Journal of European Competition Law & Practice 87, 100-101. See United States of America v Apple Inc, et al, 12-cv-02826-DLC; United States of America v Apple Inc, 13–3741-cv; and Apple Inc, v United States, 15-565, Supreme Court (7 March 2016). Case C-194/14 P AC-Treuhand v Commission EU:C:2015:717. Opinion of AG Szpunar in Case C-320/16 Uber France SAS EU:C:2017:511, para 22. Case C-382/12 P MasterCard EU:C:2014:2201. Under the logic of Case C-418/01 IMS Health v NDC Health EU:C:2004:257. See Commission Staff Working Document ‘European agenda for the collaborative economy – supporting analysis’ SWD(2016) 184 final, at 5.2.2, Table 6. See Commission v Ireland (Case No SA.38373)  OJ L 187; both Ireland and Apple have challenged the Commission’s decision in Case T-778/16 Ireland v Commission  OJ C 38/35 and Case T-892/16 Apple Sales International and Apple Operations Europe v Commission, respectively; pending at the time of writing. See eg Case C-256/97 DM Transport EU:C:1999:332, para 19. See Case C-690/13 Eurobank EU:C:2015:235. Petition No 1173/2015 (29 June 2016), concerning Uber in the UK.